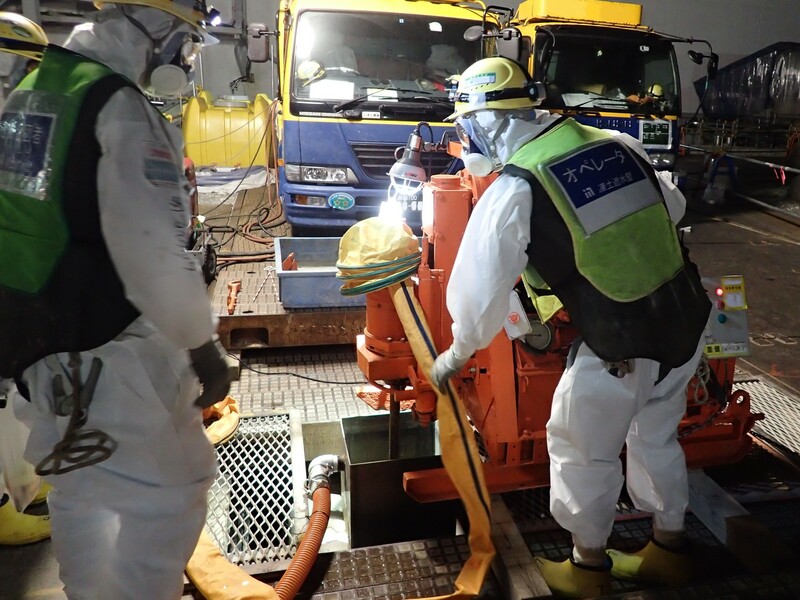 TEPCO injected cement near parts of section 1 of the frozen wall on June 8. South sections of the frozen wall near unit 4 are still struggling to freeze. 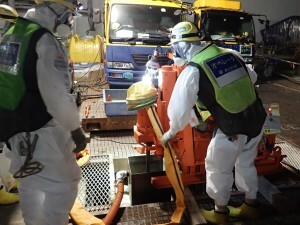 TEPCO has not announced a specific response plan. 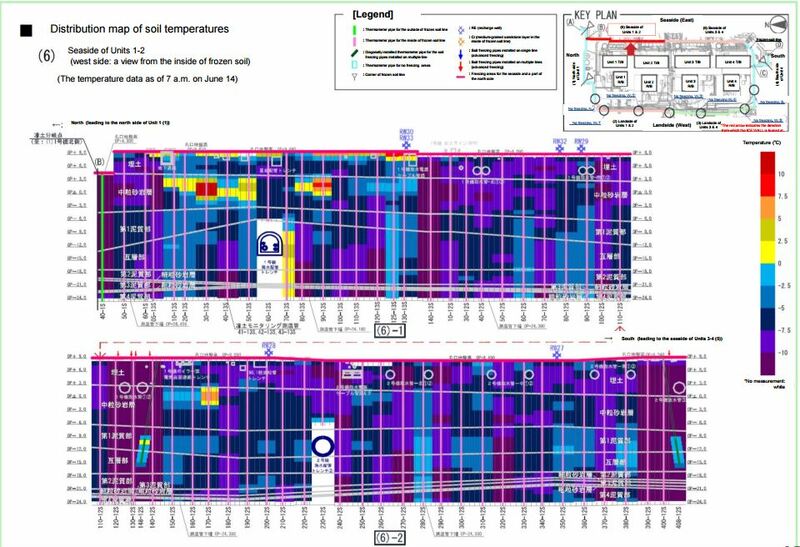 The sections near unit 1 appear to have been where the cement was injected but it is not clear if it has had a direct impact on this section. This section has seen some improvement over previous reports. Many of the red and yellow sections have seen some cooling.